As you can see, in addition to the separate Sandman movie that Joseph Gordon-Levitt is already developing, standalone films are supposedly also in the works for characters who will be introduced in either Batman V. Superman or Justice League—including Wonder Woman, The Flash, and the non-Ryan Reynolds Green Lantern. 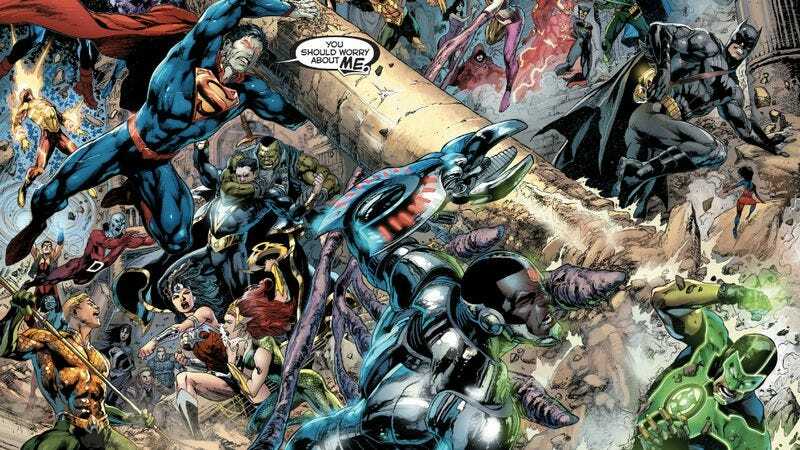 (Aquaman, who Finke says “will be seen in the Justice League movie,” is left out, as always.) Supposedly first on the docket is a Shazam movie, something that’s been rumored as in development for close to a decade, occasionally with Dwayne Johnson’s name in the mix. Similarly soon to be freed from development limbo is Wonder Woman, when it’s ostensibly Gal Gadot’s turn to tread where so many have tried and failed. This is followed by some sort of Flash/Green Lantern buddy-space-cop movie that will allow each to shoulder half the burden of being interesting to mass audiences. And all of this will eventually culminate in the first genuine Man Of Steel sequel five years from now, when Amy Adams and all of the other supporting characters who have been crowded out by these swarms of superheroes finally get some more dialogue. Then it will no doubt be time to begin the whole cycle anew, with sequels to Justice League and all the rest, more spinoffs, the inevitable Batman reboot, random team-ups, alternate universes, special appearances from Pat Boone, etc., each of which you’ll need to see to understand the others. Until—combined with the ever-expanding Marvel universes across Disney, Sony, and Fox—we reach a point where not a week goes by that doesn’t see the release of a comic-book movie, to go with our many comic-book TV shows and actual comic books, and, hopefully, comic-book pills, to ingest more directly the escapist superhero entertainment we so require.